The Center for Cities + Schools in collaboration with Wayne State University’s Volunteers, Administrators and Coaches (VAC) have been implementing Y-PLAN Initiatives over the past nine years. 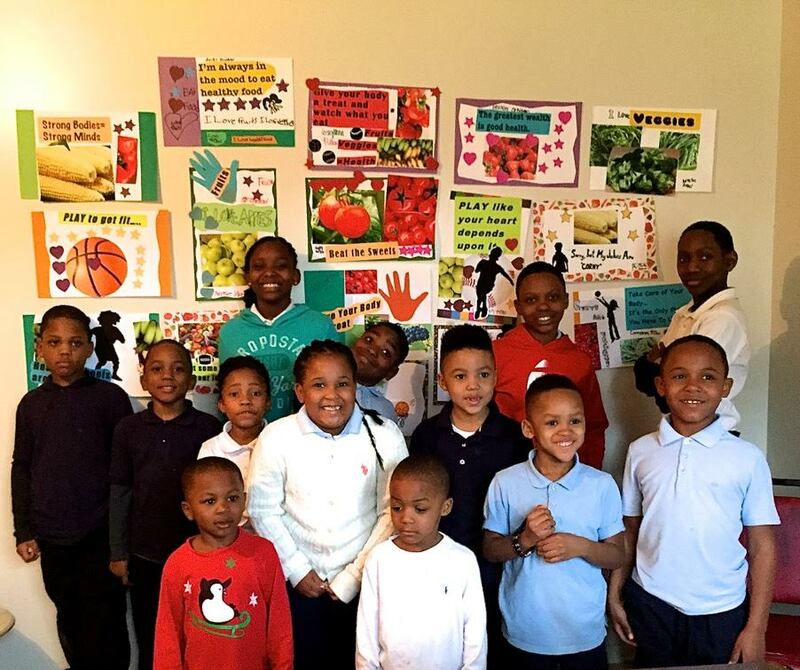 For the past two years students have been engaged in a multi-year effort to promote healthy eating and active living in the schools, housing developments, and neighborhoods in the urban core of Detroit. 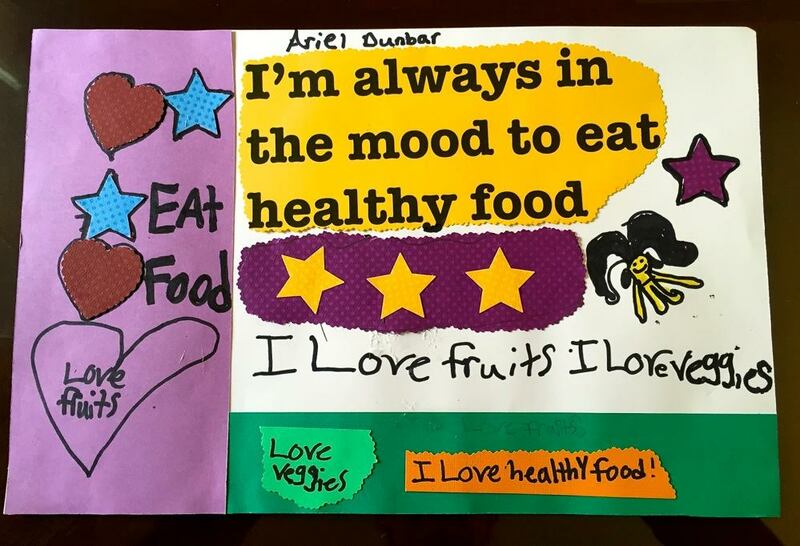 As part of this effort, the children ages 4-14 at Brewster Homes and Parkside Village, created posters as a public awareness campaign to increase healthy behavior and healthier school environments. 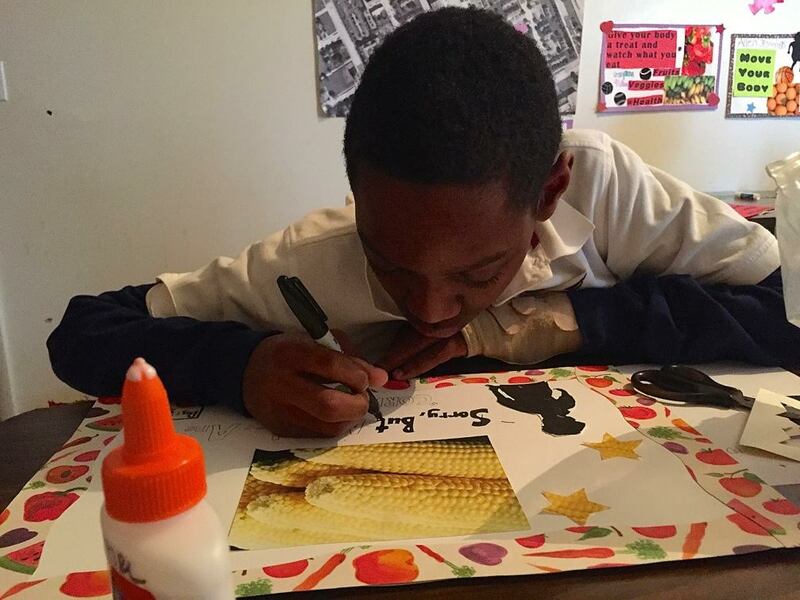 Students, like young illustrator Martez Vance (pictured here), worked individually or in teams, to create bold posters featuring slogans, images and design elements. As part of the collaboration with CC+S, the students in the VAC program assessed their public school facilities, and generated posters - maps representing their critique of the environment —especially with respect to health and safety. 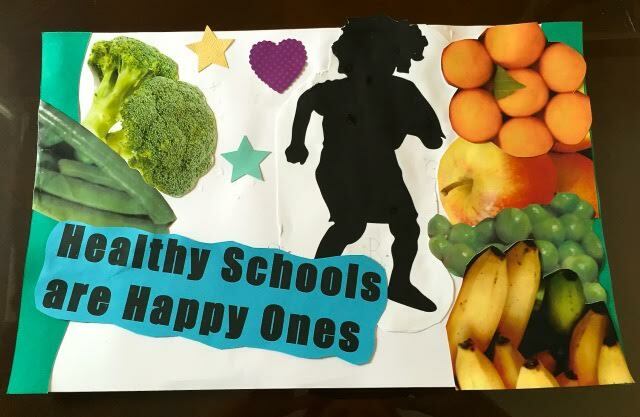 This poster, by Coreyanna Milton, was selected by the Healthy Schools Network to feature on their website in honor of April 4, 2017 National Healthy Schools Day. Ron Simpkins presented the data generated by the students at December 2016 Summit to Map PK-12 Facilities Equity— facilitated by The 21st Century School Fund and UC Berkeley's Center for Cities + Schools in partnership with the National Council on School Facilities and the Center for Green Schools at the USGBC, sponsored by the W. K. Kellogg Foundation. Once a “food desert”, Brewster Homes is now only blocks from a Whole Foods market, that was in part the result of lobbying by community activists such as Grace Lee Boggs. The Healthy Eating, Active Living curriculum focuses on individual behavior as well systems change at the neighborhood, school and city level. While creating these posters the students also learned about elements of graphic design, and together with facilitators had some discussions about design as a professional pathway.